The EVGA SuperNOVA P2 1000 W Power Supply Unit (PSU) has a standard ATX form factor and fits nicely in the Corsair 750 case. The PSU fan was installed facing the bottom cabinet air filter so that when the fan runs, cool air from outside the case would be blown through the power supply. Four screws supplied with the power supply were used to hold it in place. A metal ledge inside the cabinet also keeps the power supply in place. 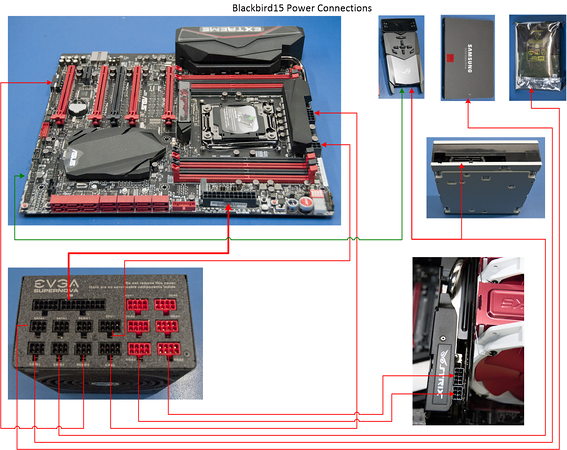 The hardest part about installing the power supply is figuring how to route cables between respective connectors between the supply and the motherboard. 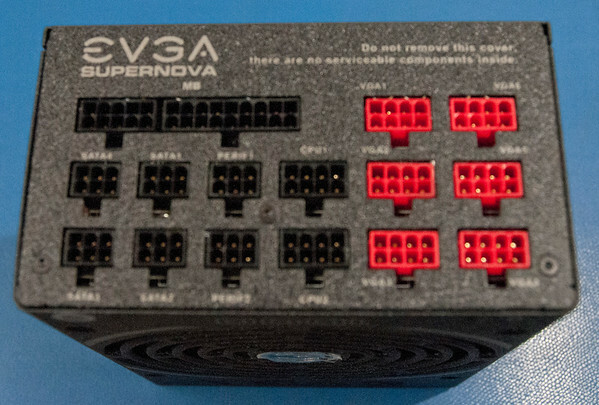 Figure 1 shows the EVGA SuperNOVA P2 1000 W PSU modular connectors. Figure 2 shows the pinout of the 24 pin connector. EVGA provides a header with pins 15 and 16 jumpered together so that the power supply can be turned on and tested without a motherboard. The manual refers to this as an EVGA PSU Tester (24-pin). I used the header to power up the supply before connecting it to anything. All the supply voltages checked out fine without a load so I installed the supply. Figure 3 shows the cables kit. 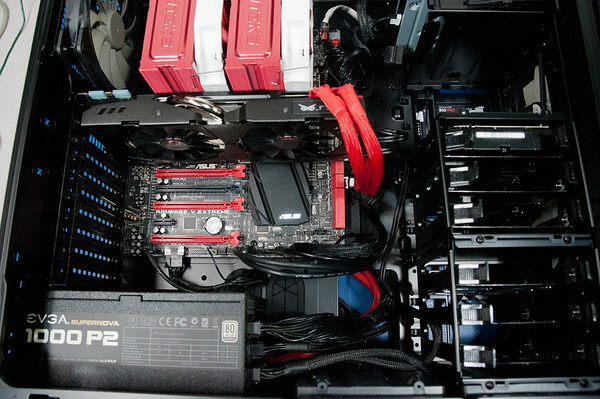 For this build, I’ve installed the following cables: 1 ATX 24, 2 EPS12V, 2 VGAs, 3 SATAs, and 1 Molex (peripheral cable) so far. Figure 4 shows an illustration of how the various components were connected to the power supply. Figure 5 shows the power supply cable routing in the rear of the case. 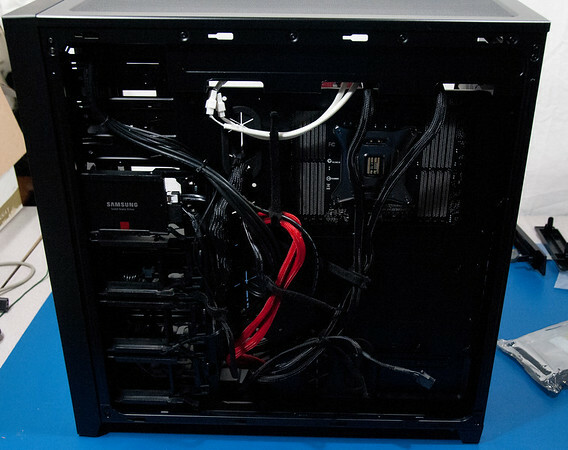 Figure 6 shows a close up view the EVGA SuperNOVA P2 1000 W PSU installed in the case and some of the cable routing. 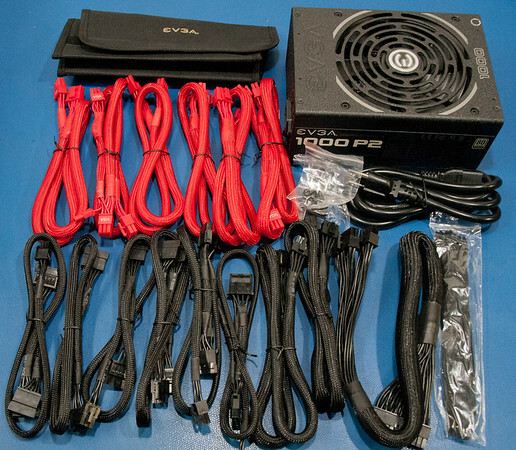 Figure 7 shows the installation video of the EVGA SuperNOVA P2 1000 W PSU. After connecting the power supply cables, the case audio, USB, LEDs, and switches were installed.